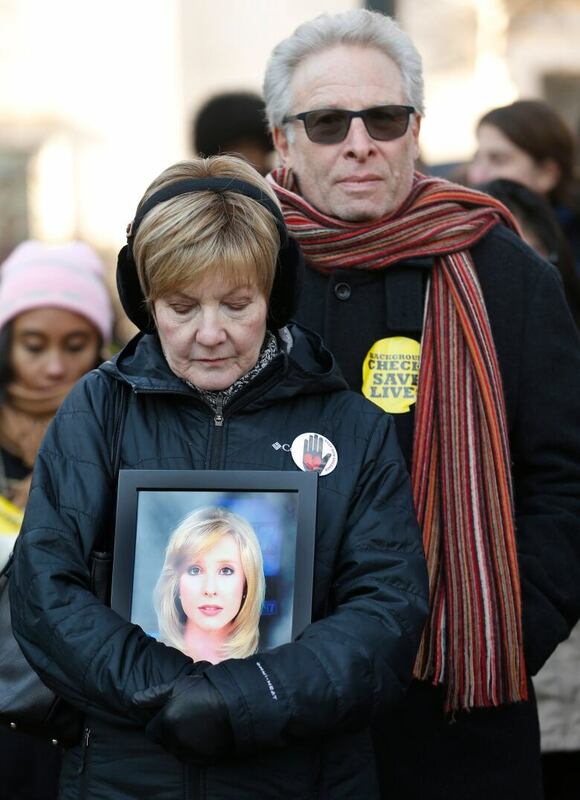 Andy Parker's daughter was shot and killed while reporting on live TV. Soon after, conspiracy theorists began to spread stories and videos online, claiming that the murder was staged and that Andy was not a grieving father, but a "crisis actor." Alison Parker, a 24-year-old news reporter in Virginia was shot and killed while conducting a live television interview in August of 2015. The camera operator was also shot and killed. 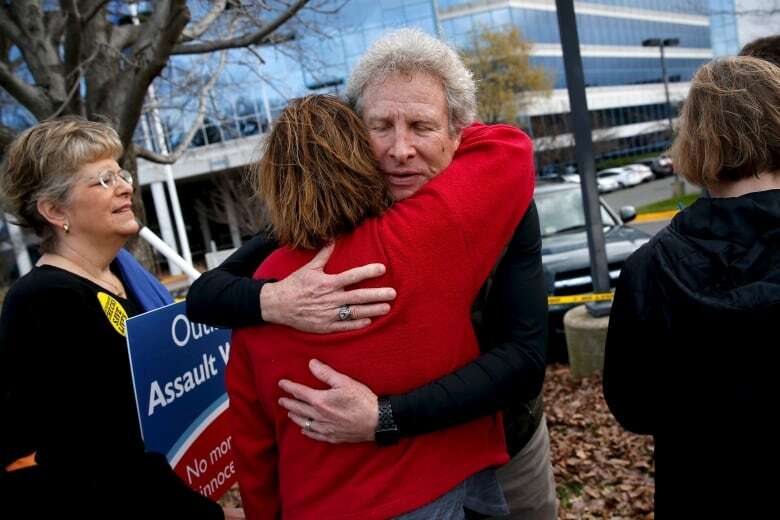 The shooter was a disgruntled former colleague, who filmed the deaths. Now, Parker's father is fighting the company he claims has "monetized" his daughter's death. "Google profits [from] my daughter's murder, and I'm not going to stand for that," Andy Parker told Out in the Open host Piya Chattopadhyay. Soon after Alison's death, footage of the shooting spread across YouTube, which is owned by Google. Conspiracy theorists used the video to argue that the shooting was a hoax designed to whip up support for stricter gun control laws. Advertisements have been removed from these videos, but Parker believes Google still has potential revenue streams from the user data of people watching or uploading them. Parker argues that the longer YouTube is able to keep people watching this hoax-related content, the more money it makes off his daughter's death. It's all part of a troubling trend that has taken hold in the U.S. ー vigorously promoted by popular far-right media figures such as Alex Jones ー in which victims of gun violence and their families, including those in the Parkland, Las Vegas and Sandy Hook shootings, are accused of taking part in a vast conspiracy. In the case of Parker's daughter Alison, conspiracy theories have alleged that there was no shooting, it was all faked and that Alison had plastic surgery and moved to Israel. Parker has been accused of being a "crisis actor," merely playing the role of a grieving father. He has received messages from trolls telling him, "I loved watching your daughter die." Lenny Pozner is the founder of HONR Network, an organization aimed at fighting online conspiracy theorists. His six-year-old son Noah died in the 2012 Sandy Hook shooting. Pozner was compelled to start HONR Network after hoaxers said his son was not actually killed in the shooting. He and his family have moved several times to avoid threats and in-person harassment from conspiracy theorists who allege the Sandy Hook massacre never happened. "It isn't just one person attacking you online. It's hundreds, sometimes thousands of followers making posts about you, defacing pictures, attacking you via email, or on social media," Pozner told Out in the Open. "Conspiracy theorists and hoaxers typically believe that the mass casualty incident is staged by the government in order to sway public sympathy to deprive people of their civil liberties," he added. Parker has never seen the footage of his daughter's death and, at first, he avoided social media. But he felt compelled to search Alison's name on YouTube after trolls accused him of trying to make money off of a non-profit foundation created in her honour. Hundreds of hoaxer-related posts came up in the search results, many of them dissecting the footage of Alison's murder. He says it violates YouTube's own terms of service to allow those videos to remain on the site ー its "moment of death" policy states that such videos should be flagged for removal. But when Parker requested that YouTube take down the content, he says he was told that the onus was on him to report each individual video. "It's up to you to go through each one of these, to flag them, and send it to us. What kind of sociopath would do that?" Parker said of YouTube's response. "We want them to take down any hoaxer content. Do the right thing as human beings, as a good corporate citizen. Bottom line is, if you don't, we're not afraid to take you to court," said Parker, who's teamed up with the Georgetown University Civil Rights Law Clinic. Parker adds, "Free speech has its limits. The most obvious example is, you can't yell 'fire' in a theatre. You have to be reasonable, and be a human being." 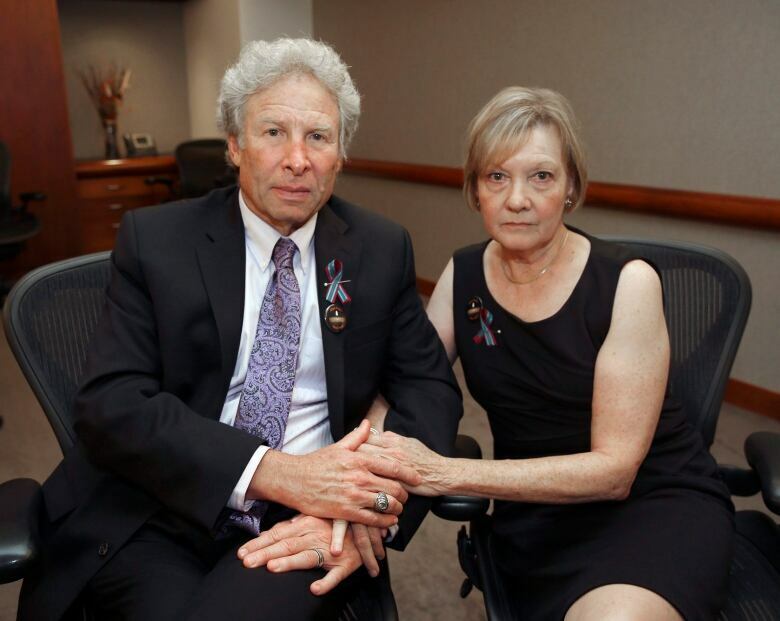 "Mr. Parker and his family suffered a truly tragic loss. There is no place on YouTube for content that glorifies violence or harasses the families of victims. We use a mix of technology and human review to remove content that includes graphic violence, such as the video of Ms. Parker's death. Our systems aren't always perfect, but our goal is to catch inappropriate content using technology as quickly as possible. We have taken measures to address the issue of harassment of victims' families ... We remove videos that target victims or their families and claim these events were 'hoaxes' or didn't happen. We do not allow ads to run on videos about tragic or sensitive events and we do not monetize or profit from such content in any way." After Alison's death, Parker reached out to Pozner, who offered to take on the job of flagging the videos of Alison's murder, so Parker wouldn't have to see those images. "Grieving requires silence and reflection. All of the noise created by the endless harassment and defamation makes it very difficult to process the loss," Pozner said. Ultimately, Pozner says that in order to combat this, "Social media and internet service providers have to become much more vigilant in adhering to their own terms of service, investing revenue into developing better protections for users, and taking a stand against their platforms being used for illegal activities." With files from CBC News. This story appears in the Out in the Open episode, "Fighting Falsehoods."